After a warm, sunny weekend, Las Vegans can expect a windy start to the week and chances for rain by Tuesday, according to the National Weather Service. Monday will see wind speeds between 20 and 30 mph that could gust higher in the western valley, the weather service said. Monday’s forecast high is 82 degrees. A cold front moving into the valley Tuesday from the north will bring the high down to 69. The weather service forecasts partly cloudy skies with a 40 percent chance for rain in the valley. 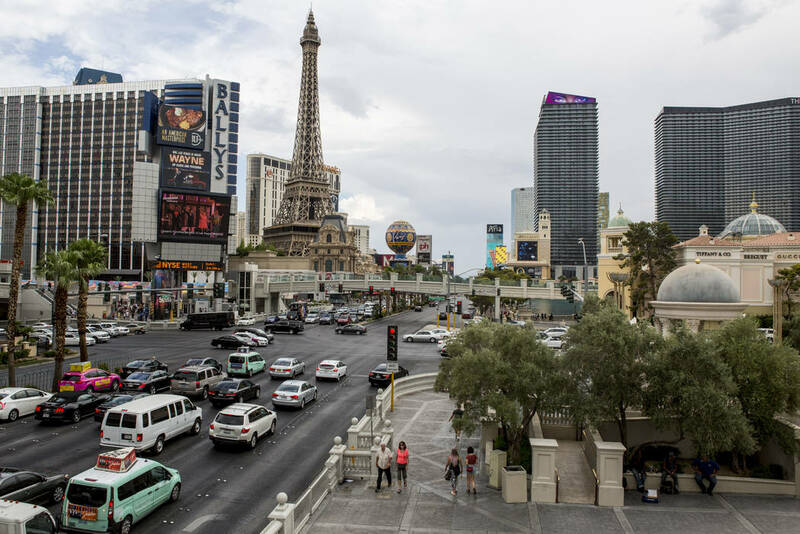 Chances for rain will disappear overnight Tuesday, and Las Vegans can expect sunny, calm weather Wednesday, with temperatures climbing to 78 in the afternoon. Temperatures should continue to climb into the weekend, meteorologist Trevor Boucher said. Thursday’s high will be 83, he said. Temperatures are expected to climb to 88 by Friday, 10 degrees above the normal high for this time of year.